Related Topics: José Mourinho, Andreas Pereira, Manchester United F.C., Old Trafford, Esporte Interativo, Ole Gunnar Solskjær, UEFA Champions League, Game, Premier League, Paris Saint-Germain F.C. 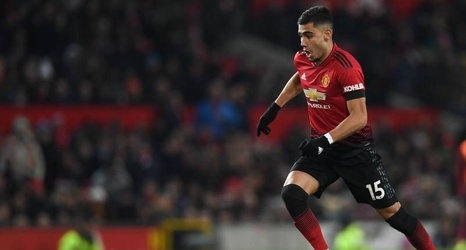 Manchester United midfielder Andreas Pereira has said the team are playing "with 10 kilograms less on our backs" following the departure of former manager Jose Mourinho. Mourinho was given his marching orders at Old Trafford in December having watched his team surrender to a 3-1 loss at Liverpool; their start to the 2018-19 term was the Red Devils' worst of the Premier League era. "We're doing great, we're playing well.